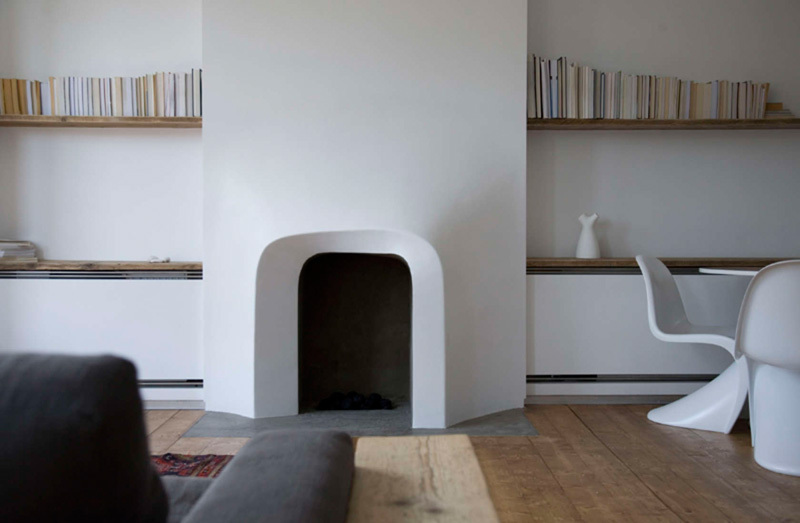 When Scenario Architecture were completing the renovation and extension of a Victorian terrace home in North London, they wanted to create a separation between the dining and lounging areas, so they designed a custom fireplace surround, that is angled away from the dining area, and faces the lounge. 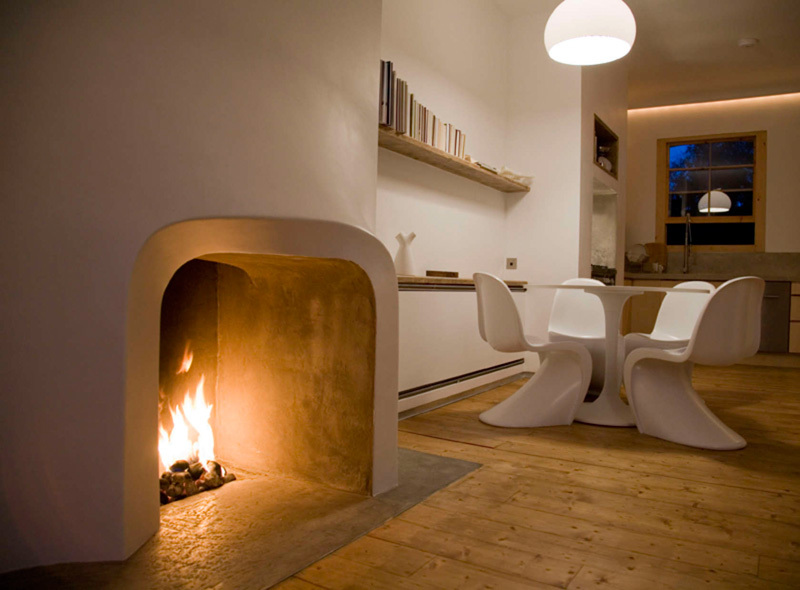 The design of this fireplace originated from a habitation scenario which demanded a spatial separation between the lounging and cooking/eating spaces, whilst keeping the large space as open as possible. 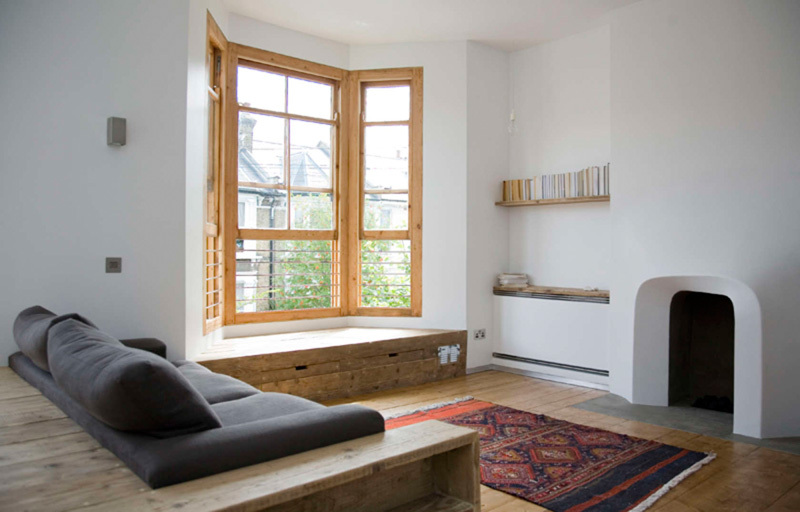 The response to this brief resulted in the re-formation of the existing chimney wall, extending it out and tilting in, towards the sitting area. 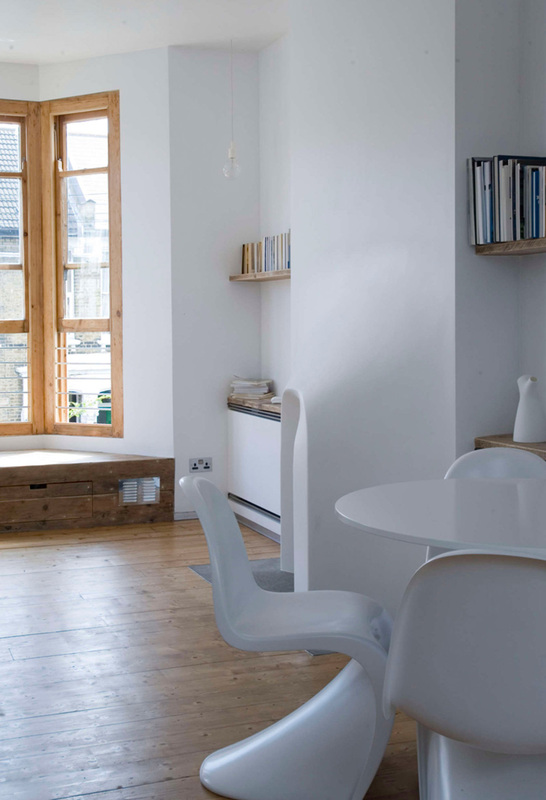 This generated a visual focal shift towards the main seating area. The outer surface maintains its original materiality, that of the surrounding walls, while the inner surface is made of polished high alumina heat resistant concrete.